Increased oxygen consumption results in kidney tissue hypoxia, which is proposed to contribute to the development of diabetic nephropathy. Oxidative stress causes increased oxygen consumption in type 1 diabetic kidneys, partly mediated by uncoupling protein-2 (UCP-2)-induced mitochondrial uncoupling. The present study investigates the role of UCP-2 and oxidative stress in mitochondrial oxygen consumption and kidney function in db/db mice as a model of type 2 diabetes. Mitochondrial oxygen consumption, glomerular filtration rate and proteinuria were investigated in db/db mice and corresponding controls with and without coenzyme Q10 (CoQ10) treatment. Untreated db/db mice displayed mitochondrial uncoupling, manifested as glutamate-stimulated oxygen consumption (2.7 ± 0.1 vs 0.2 ± 0.1 pmol O2 s−1 [mg protein]−1), glomerular hyperfiltration (502 ± 26 vs 385 ± 3 μl/min), increased proteinuria (21 ± 2 vs 14 ± 1, μg/24 h), mitochondrial fragmentation (fragmentation score 2.4 ± 0.3 vs 0.7 ± 0.1) and size (1.6 ± 0.1 vs 1 ± 0.0 μm) compared with untreated controls. All alterations were prevented or reduced by CoQ10 treatment. Mitochondrial uncoupling was partly inhibited by the UCP inhibitor GDP (−1.1 ± 0.1 pmol O2 s−1 [mg protein]−1). UCP-2 protein levels were similar in untreated control and db/db mice (67 ± 9 vs 67 ± 4 optical density; OD) but were reduced in CoQ10 treated groups (43 ± 2 and 38 ± 7 OD). db/db mice displayed oxidative stress-mediated activation of UCP-2, which resulted in mitochondrial uncoupling and increased oxygen consumption. CoQ10 prevented altered mitochondrial function and morphology, glomerular hyperfiltration and proteinuria in db/db mice, highlighting the role of mitochondria in the pathogenesis of diabetic nephropathy and the benefits of preventing increased oxidative stress. The incidence of diabetic nephropathy is approximately 40% in type 2 diabetes  and although the prevalence of both type 1 and 2 diabetes is increasing, the population of type 2 diabetic patients is increasing more rapidly. Furthermore, the average age at onset of type 2 diabetes is constantly decreasing and is likely to result in increased incidence of diabetic nephropathy due to the possibility of longer duration of diabetes. The prevalence of diabetic nephropathy has increased by 33% from 1990 to 1998 in the USA , and Wild et al reported that the total number of people affected worldwide will increase from 171 million in 2000 to 366 million in 2030 . Approximately 45% of all cases of end-stage renal disease, resulting in the need for dialysis or kidney transplantation, are caused by diabetic nephropathy . However, the mechanism behind the development of nephropathy in type 2 diabetic patients is not yet fully understood, and this is in part related to the heterogeneity of this patient population. Structural changes, such as accumulation of extracellular matrix, interstitial tubular fibrosis, reduced glomerular filtration area, glomerulosclerosis and glomerular basement membrane thickening are commonly associated with the development of diabetic nephropathy in patients and animal models [5, 6]. However, increasing interest has been directed towards understanding the functional and metabolic alterations occurring well before these structural changes . The metabolic alterations precede the often irreversible structural changes and are likely to be involved in the induction of structural changes in the diabetic kidney. Lately, the proximal tubule has received considerable interest as a crucial component for the development of diabetic nephropathy (for a review, see Vallon ), altering the view of diabetic nephropathy as being mainly a glomerular disease. As the proximal tubular cells in the kidney cortex are responsible for the majority of active tubule electrolyte transport and therefore have a high energy demand, which manifests as a high cellular content of mitochondria, diabetes-induced alterations in mitochondrial function may play an important role in the development of diabetic nephropathy. Diabetes is closely associated with increased oxidative stress and increased oxygen consumption resulting in decreased oxygen tension in the diabetic kidney . The mitochondrial electron transport chain, consisting of four complexes, is a significant source of superoxide radicals during diabetes . The transport of electrons through complex I to complex IV and the subsequent reduction of molecular oxygen to water are coupled to the transport of protons across the inner mitochondrial membrane, which creates an electrochemical gradient that is used by ATP-synthase for the production of ATP from ADP and inorganic phosphate (Pi). Approximately 0.2% of the total oxygen consumption is related to mitochondrial production of superoxide radicals from complexes I and III . Increased mitochondrial membrane potential in diabetes has been shown to further increase the production of superoxide radicals . A possible protective mechanism against diabetes-induced mitochondrial superoxide production is to decrease the membrane potential by allowing protons to cross the inner membrane independently of ATP synthesis, which is commonly referred to as mitochondrial uncoupling [10, 13]. Mitochondrial uncoupling is generally accomplished by uncoupling proteins (UCPs), although other mechanisms have been suggested . UCP-2 is the major isoform in human , rat  and mouse kidneys . Increased mitochondrial uncoupling mediated by UCP-2 has been reported in kidneys from type 1 diabetic rats , resulting in increased oxygen consumption, which can at least partially explain the kidney tissue hypoxia commonly observed in diabetes [9, 19]. UCPs are directly activated by superoxide in the kidney . Indeed, diabetes-induced superoxide production from mitochondria results in decreased ATP production and complex III inactivation in mitochondria isolated from renal proximal tubular cells, causing cell death. These effects are prevented by overproduction of manganese superoxide dismutase, an antioxidant enzyme localised to the mitochondria . CoQ10 is a component in the mitochondrial electron transport chain, transferring electrons from complexes I and II to complex III . Endogenously synthesised CoQ10 is present in all cells and membranes and has important functions for the plasma redox system and for the permeability transition pore [23, 24]. CoQ is our only lipid-soluble endogenous antioxidant and efficiently prevents oxidation of lipids, proteins and DNA . CoQ10 is antioxidative in its reduced form and is maintained reduced in the tissue by a number of mitochondrial and cytosolic enzyme systems. Interestingly, it was demonstrated in reconstituted membranes that CoQ in its oxidised form is an obligatory cofactor for UCP-2 and -3 to perform translocation of protons . Deficient leptin signalling in db/db mice results in hyperphagia, obesity and development of hyperglycaemia and dyslipidaemia at the age of about 8 weeks . The db/db mouse model of type 2 diabetes has been proposed as a suitable experimental model for studying the development of diabetic nephropathy since it in many regards parallels the human disease . The present study investigated the hypothesis that db/db mice undergo mitochondrial uncoupling mediated by UCP-2 and that this contributes to altered kidney function. The specific role of increased oxidative stress in mediating changes in mitochondrion and kidney function was investigated by applying chronic treatment with CoQ10. All chemicals were from Sigma-Aldrich (St Louis, MO, USA) and of the highest grade available if not otherwise stated. All experiments were performed in accordance with NIH guidelines for the use and care of laboratory animals and approved by the local Animal Care and Use Committee. BKS.Cg-Dock7 m+ / + Leprdb/J (db/db)-mice and corresponding age-matched heterozygous littermates (control) at the age of 10–12 weeks were divided into four groups; untreated control and db/db mice with and without chronic CoQ10. Food (standard mouse chow R70, Labfor, Lantmännen, Sweden) and water were provided ad libitum throughout the study. Treatment with CoQ10 (0.1% in the food) was started either 2 or 7 weeks before measurements of mitochondrion and kidney function, respectively. Blood glucose levels were determined with test reagent strips (FreeStyle, Abbott, Alameda, CA, USA) from blood samples obtained from the cut tip of the tail. The kidneys were rapidly removed after cervical dislocation and placed in ice-cold buffer (250 mmol/l sucrose, 1 mmol/l EGTA, 10 mmol/l HEPES, pH 7.4, 300 mosmol/kg H2O). Kidney cortex was isolated on ice, rinsed with buffer and homogenised in 10 ml of buffer on ice using a Potter–Elvehjem homogeniser (800 rpm). The homogenate was transferred to pre-chilled centrifuge tubes, centrifuged at 800 g, 10 min at 4°C, and the supernatant fraction was transferred to new tubes and centrifuged at 14,500×g, 5 min, 4°C. The pellet was gently resuspended in buffer containing 1 mg/ml BSA (further purified faction V, fatty acid free) and centrifuged at 14,500×g, 5 min, 4°C. The final pellet was dissolved in experimental buffer (1 mg/ml fatty acid free BSA containing 220 mmol/l mannitol, 70 mmol/l sucrose, 5 mmol/l MgCl2, 5 mmol/l KPO4 −, 10 mmol/l HEPES, 0.048 mmol/l sodium palmitate, pH 7.4, 300 mosmol/kg H2O). Protein concentration of the final cell suspension was measured (DC Protein Assay, Bio-Rad Laboratories, Hercules, CA, USA) and mitochondrial oxygen consumption was recorded using the Oroboros Oxygraph-2 k (Oroboros Instruments, Innsbruck, Austria). Glutamate (10 mmol/l), ADP (400 μmol/l), oligomycin (12 μg/mg protein) and GDP (500 μmol/l) were injected in succession into the respiratory chamber containing the mitochondrial suspension. Mitochondrial uncoupling can be studied during this state of low oxygen consumption. Addition of glutamate (i.e. electron-donating NADH) increases the inner mitochondrial membrane potential because of the transport of protons to the intermembrane space and any mechanism resulting in proton leak (i.e. uncoupling) across the mitochondrial inner membrane will be observed as glutamate-stimulated oxygen consumption. The subsequent addition of ADP results in a profoundly increased oxygen consumption, which is used to assess mitochondrial viability (i.e. the success of the isolation process). Addition of the ATP-synthase inhibitor oligomycin mimics the effects of ADP depletion and therefore provides a second indication of mitochondrial uncoupling. Finally, the addition of the inhibitor GDP was used to confirm any uncoupling mechanism present in mitochondria from the different groups. A sample of the mitochondrial suspension was taken from the respiration chamber at the end of each experiment and analysed for protein concentration (DC Protein Assay, Bio-Rad Laboratories). All results are expressed as oxygen consumption corrected for protein concentration. Glutamate-stimulated oxygen consumption was calculated as oxygen consumption after addition of glutamate subtracted for the baseline oxygen consumption. The respiratory control ratio was calculated as oxygen consumption after addition of ADP divided by oxygen consumption after addition of glutamate. GDP-inhibited oxygen consumption was calculated as oxygen consumption after addition of GDP subtracted by oxygen consumption after addition of oligomycin. Protein carbonyl levels in kidney tissue were measured with a commercially available kit according to the manufacturer’s instructions (Cayman Chemicals, Ann Arbor, MI, USA). Kidney cortexes were homogenised in 700 μl buffer (1.0% NP40, 0.5% sodium deoxycholate, 0.1% SDS, 10 mmol/l NaF and 80 mmol/l Tris-HCl, pH 7.5) containing enzyme inhibitors (Phosphatase Inhibitor Cocktail-2; 10 μl/ml, and Complete Mini; 1 tablet/1.5 ml; Roche Diagnostics, Mannheim, Germany) using a FastPrep FP120 (Thermo Electron, Franklin, MA, USA) centrifuged at 15,000×g, 15 min, 4°C and the supernatant fraction was analysed for protein concentration using the DC Protein Assay (Bio-Rad Laboratories). Equal amounts of protein were separated on a 12.5% Tris-HCl gel with Tris/glycine/SDS buffer and the proteins were detected, after transfer to nitrocellulose membranes, using goat anti-rat UCP-2 antibody (1:1,000; Santa Cruz Biotechnology, Santa Cruz, CA, USA) and horse radish peroxidase (HRP)-conjugated secondary antibody (rabbit anti-goat, 1:10,000; Kirkegaard and Perry Laboratories, Gaithersburg, MD, USA) using an ECL camera (Kodak Image Station 2000; New Haven, CT, USA). β-Actin was detected using mouse anti-rat β-actin antibody (1:10,000) and secondary HRP-conjugated goat anti-mouse antibody (1:60,000; Kirkegaard and Perry Laboratories). The specificity of this particular UCP-2 antibody has been verified using tissue from UCP-2 knockout mice (personal communication with M.P. Murphy, MRC Dunn, Cambridge, UK). Faeces and urine production and excretion of sodium, potassium and proteins were measured by placing animals in metabolism cages for 24 h. Urinary sodium and potassium excretion were determined by flame photometry (IL943, Instrumentation Laboratory, Milan, Italy) and urinary protein excretion by DC Protein Assay (Bio-Rad Laboratories). Urinary excretion rates were multiplied by urine volumes and expressed as excretion per 24 h.
Conscious GFR was measured by the single bolus injection method of FITC-inulin clearance . Briefly, 2% FITC-inulin was dissolved in PBS and dialysed in PBS at 4°C overnight in a 1000 Da cut-off dialysis membrane (Spectra/Por 6 Membrane, Spectrum Laboratories, Rancho Dominguez, CA, USA). FITC-inulin was filtered through 0.45 μm syringe filters, 0.2 ml injected in the tail vein, and blood samples taken at 1, 3, 7, 10, 15, 35, 55 and 75 min. Plasma samples were added to HEPES buffer (500 mmol/l, pH 7.4) and assayed for fluorescence (496 nm excitation and 520 nm emission, Safire II, Tecan Austria, Grödig, Austria). The exact FITC-inulin dose was calculated from syringe pre to post weight and FITC-inulin clearance was calculated using non-compartmental pharmacokinetic data analysis . Thin slices of renal cortex from two animals from each group were fixed in 2.5% glutaraldehyde with sodium cacodylate buffer (150 mmol/l, pH 7.4), post fixed in 1% OsO4 and embedded in Agar 100 Resin (Agar Scientific, Stansted, UK). Sections were contrasted with 2% uranyl acetate and Reynolds lead citrate solution and examined in a Hitachi 7100 transmission electron microscope (Tokyo, Japan). Electron micrographs were taken with a Gatan multiscan camera model 791 using Gatan digital software version 3.6.4 (Gatan, Pleasanton, CA, USA). Representative mitochondria were selected by superimposing an 8 × 5 grid onto the micrographs and selecting those that were located in an intersection of the grids. Mitochondrion size was determined by measuring the longest distance of each mitochondrion. Fragmentation was scored from 0 to 4 (0 representing no fragmentation, 4 representing full fragmentation). Percent intracellular content of mitochondria was also calculated. All mitochondrial micrograph analyses were performed by the same blinded investigator. Statistical comparisons were performed with 2 × 2 ANOVA; p < 0.05 was considered significant and all values are presented as mean values ± SEM. db/db mice had increased body weights, blood glucose levels, urinary flow, and urinary excretion of sodium and potassium compared with controls (Table 1). Mitochondrial oxygen consumption at baseline (Fig. 1a), after addition of glutamate (Fig. 1b) and the calculated glutamate-stimulated oxygen consumption (Fig. 1c) were higher in untreated db/db mice compared with corresponding controls. Oxygen consumption after addition of oligomycin was higher in db/db mice (Fig. 2a). However, the oxygen consumption after administration of GDP was similar in all groups (Fig. 2b). This resulted in a greater proportion of oxygen consumption inhibited by GDP in mitochondria from untreated db/db mice (Fig. 2c), compared with untreated control mice. 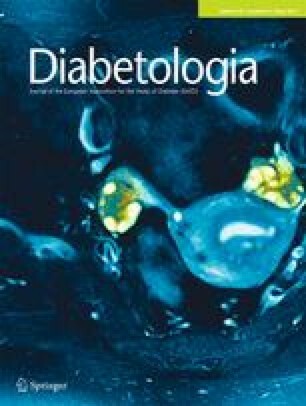 Treatment with CoQ10 for 2 weeks prevented diabetes-induced differences in mitochondrial oxygen consumption in response to both glutamate and GDP (Figs 1 and 2). Addition of ADP caused a profound increase in oxygen consumption in all groups, with the mitochondria from untreated db/db mice displaying the highest oxygen consumption (Fig. 3a). However, the calculated respiratory control ratios were similar in all investigated groups (Fig. 3b). The UCP-2 protein level corrected for β-actin was similar in both untreated groups and treatment with CoQ10 resulted in decreased UCP-2 levels in both groups (Fig. 4). Protein carbonyl levels were increased in untreated db/db mice and reduced by CoQ10. No differences were detected in controls (Fig. 5). CoQ10 prevented glomerular hyperfiltration and proteinuria in db/db mice but had no effect in controls. CoQ10 did not affect glomerular hyperfiltration but reduced proteinuria in controls (Figs 6 and 7). Untreated db/db mice displayed increased mitochondrial fragmentation compared with untreated control animals, which was reduced by CoQ10 (Table 2 and Fig. 8). Cellular mitochondrion content, fragmentation and size were increased in both db/db groups compared with untreated controls but only mitochondrion size and fragmentation were reduced by CoQ10 (Table 2). The main finding of the present study is that mitochondria from the kidney cortex of db/db mice display glutamate-stimulated oxygen consumption in the absence of ADP. Taken together with the finding that the glutamate-stimulated oxygen consumption is inhibited by GDP, this demonstrates the presence of mitochondrial uncoupling, at least in part mediated by UCP-2. However, glutamate increased oxygen consumption by approximately 2.5 pmol s−1 (mg protein)−1, whereas GDP only inhibited oxygen consumption by about 1 pmol s−1 (mg protein)−1. This suggests that at least one additional mechanism is involved in mitochondrial uncoupling in db/db mice. Echtay et al demonstrated that adenine nucleotide transporter (ANT) plays a role in the fatty acid-induced uncoupling of kidney mitochondria . Indeed, several studies have demonstrated that db/db mice are dyslipidaemic with increased plasma levels of cholesterol and triacylglycerol [31, 32]. However, the role of ANT-mediated mitochondrial uncoupling was beyond the scope of the present study. Mitochondrial uncoupling in hyperglycaemic db/db mice was prevented by CoQ10 treatment for 2 weeks, indicating a pivotal role of oxidative stress in regulating mitochondrial function. Interestingly, UCP-2 protein levels were similar in untreated controls and untreated db/db mice, suggesting activation of existing UCP-2 rather than dependence on new protein synthesis. Activation of kidney UCP-2 by superoxide has previously been reported [20, 33] although it is debated [20, 34]. However, Krauss et al used UCP-2 deficient mice to demonstrate that mitochondria isolated from both kidney and spleen completely lacked superoxide-inducible oxygen consumption . In the same study it was also shown that wild-type mitochondria incubated with the superoxide dismutase mimetic Mn(III) tetrakis (4-benzoicacid) porphyrin (MnTBAP) had reduced proton leak. Notably, no such effect was observed in mitochondria from UCP-2 deficient mice. It is our understanding that this study convincingly demonstrated that superoxide activates mitochondrial uncoupling via UCP-2 in the kidney. It is important to note that CoQ10 reduced UCP-2 protein levels in both controls and db/db mice but only reduced oxidative stress in db/db mice. Therefore, direct regulation of UCP-2 protein levels by CoQ10 cannot be excluded. Importantly, mitochondrial uncoupling correlated with increased oxidative stress, evident as increased glutamate-stimulated oxygen consumption in mitochondria from untreated db/db mice, and was normalised by CoQ10 treatment. These results imply that oxidative stress participates in the regulation of UCP-2 activity, although not affecting protein levels to the same extent in these mice as in our previous reports from streptozotocin-induced rat models of diabetes [16, 18]. Ucp2 mRNA levels were not included in the present study since UCP-2 protein production is under translational control by glutamine . Altered kidney mitochondrion morphology has previously been reported during diabetes  and can cause increased mitochondrial production of superoxide radicals under hyperglycaemia . Indeed, increased mitochondrion size and fragmentation were observed in untreated db/db mice, and are likely to contribute to increased superoxide production in db/db mice. Furthermore, superoxide radicals cause UCP-2 activation via lipid peroxidation products . Indeed, protein carbonyl content was increased in db/db mice and reduced after CoQ10 treatment, correlating with reduced mitochondrial fragmentation, size and uncoupling. However, increased production of superoxide in diabetes may also originate from other sources, including NADPH oxidase . Since it is the total oxidative stress status that may alter kidney function and result in the development of diabetic nephropathy, we opted to use markers of end-target damage such as protein and lipid modifications. Importantly, treatment with CoQ10 reduced both mitochondrial fragmentation and size, indicating that mitochondrion-targeted antioxidant treatment may protect against altered morphology and function in diabetes. A second set of in vivo experiments was performed in order to investigate whether CoQ10 has any beneficial effects on kidney function in diabetes. Clinical studies using antioxidant interventions in diabetic nephropathy have, to date, shown disappointing results [39, 40], possibly due to starting treatment when established damage already exists. However, in animal studies, where antioxidant intervention is started prior to or at the onset of diabetes, kidney damage can be prevented [9, 41]. Therefore, kidney function was evaluated after 7 weeks of chronic CoQ10 treatment starting prior to the onset of hyperglycaemia. db/db mice had increased urine flow together with increased excretion of sodium and potassium, as a result of the inability to correctly regulate plasma glucose levels resulting in increased food and water intake. Untreated db/db animals developed proteinuria, a clinical hallmark of established kidney damage and the development of diabetic nephropathy . These animals also displayed increased glomerular hyperfiltration, an early indicator of altered kidney function  and a known predictor of developing diabetic nephropathy . Importantly, both the proteinuria and the glomerular hyperfiltration were prevented by antioxidative treatment. It is evident from the present study that administration of CoQ10 to db/db mice is beneficial for preventing diabetes-induced alterations in both mitochondrial and kidney functions. The intrarenal antioxidant defence system is reduced in several animal models of both types of diabetes, including the db/db mice , streptozotocin-induced diabetic rats  and C57BL/6-Akita mice . It must be taken into consideration that the level of CoQ10 in db/db mice is approximately 20% higher than in controls (G Dallner, unpublished observation) but the level of oxidative stress in db/db mice clearly exceeds the antioxidant defences, thus making CoQ10 supplementation favourable. In conclusion, mitochondria isolated from the kidney cortex of type-2 diabetic db/db mice display mitochondrial uncoupling. The mechanism for upregulation of mitochondrial uncoupling in these mice involves activation of the UCP-2 protein by oxidative stress rather than increased UCP-2 protein levels. Increased mitochondrial uncoupling may be a mechanism to limit oxidative damage to the mitochondria at the expense of increased oxygen consumption. Increased oxygen consumption may contribute to kidney tissue hypoxia, which is a common pathway in end-stage renal disease . It should be noted that diabetic patients are more susceptible to additional ischaemic insult, such as contrast-induced acute kidney injury  or non-steroidal anti-inflammatory drug (NSAID)-induced ischaemic injury . Importantly, CoQ10 reduces oxidative stress and UCP-2 mediated uncoupling, which results in normalised oxygen consumption in this type 2 diabetic model. In addition, treatment with CoQ10 prevents altered mitochondrion morphology, development of proteinuria and glomerular hyperfiltration (Fig. 9). This study was supported by the Swedish Research Council, The Swedish Diabetes Foundation, Family Erling-Persson Foundation, The European Commission project FUNCFOOD (FP7-KBBE-2009-245030), and NIH/NIDDK K99/R00 grant (DK-07785). Parts of this study were presented in abstract form at the International Q10 Association Conference, Brussels, Belgium 2010. MFP, SBC, GD, KB, PH and FP were responsible for the conception and design of the study. MFP, SF and FP were responsible for analysis and interpretation of data, and for drafting the article. MFP, SF, SBC, GD, PH, KB and FP were responsible for revising the article critically for intellectual content. All authors gave final approval of the version to be published.